UCLA’s Allen Fox was NCAA Doubles champion in 1960, and NCAA Singles champion in 1961. He was named All-UCLA and All-University of California Athlete of the Year (Best Scholar-Athlete Award) in 1961. Fox won the U.S. National Hardcourt Singles Title in 1962. In 1965, he reached the quarter finals at Wimbledon, defeating third-seeded Jan Eric Lundquist. Fox was a member of the U.S. Davis Cup team in 1961, 1963, and 1966. Allen Fox includes in his illustrious career tournament victories over Arthur Ashe, Jimmy Connors, Stan Smith and John Newcombe. Ranked among the Top Ten Men in the USA five times, he won the Canadian National Singles Championship in 1966. The same year, he captured the Pacific Southwest Singles title, defeating Grand Slam champions Roy Emerson, Fred Stolle, Tony Roche and Manuel Santana. 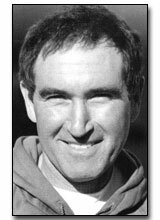 Fox, a Ph.D. in Psychology, is author of several books about tennis, has been a tennis broadcaster for national television, and coaches the varsity tennis team at Pepperdine University (Malibu, CA). He also has been Advisor to the Israeli Davis Cup Team, and coached them in competition against Poland, Switzerland, England, and The Netherlands.